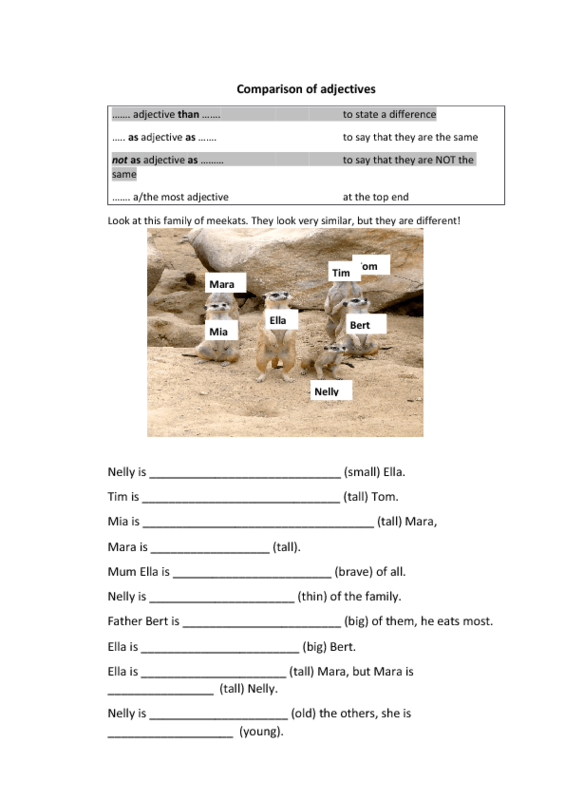 This worksheet is made to practice the use of .... than, (not) as ..... as and the most. 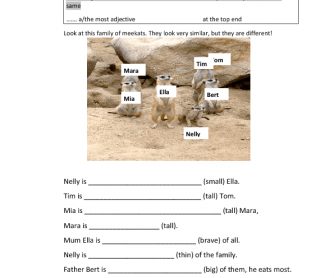 The gap-text describes a family of meerkats. The included picture could also be used to encourage pupils to form their own suggestions using the structures of comparison.